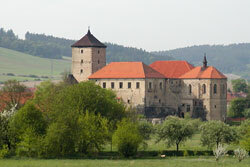 Late Gothic style water castle among the meadows surrounding the Úhlava river north of Klatovy. The Church of St. Mauricius near Annín, on the Mouřenec Hill, is 617m above sea level. The Březník, at 1165m above sea level, is a hill over the Lusen Valley, 8km from the village of Modrava. 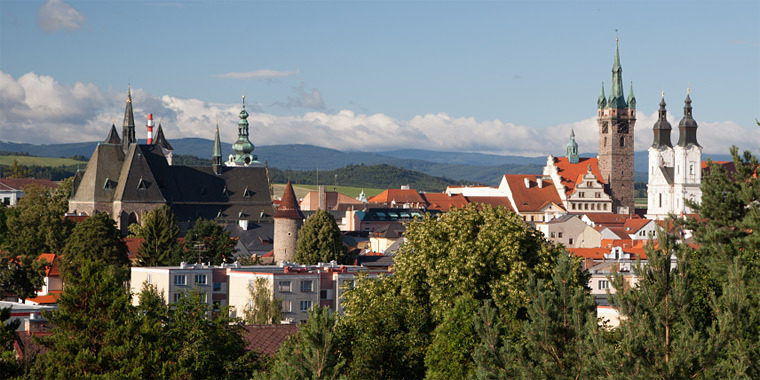 A beautiful view of the Bohemian inland can be seen from the top of a woody hill, 902m above sea level. 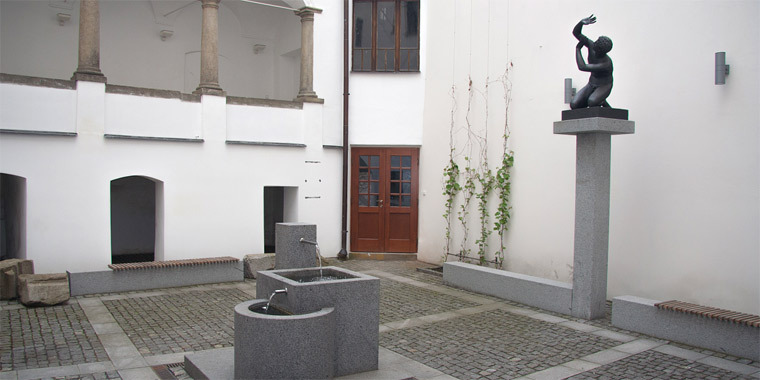 The village of Dobrá Voda, which means in English “Good Water” is situated less than 3km from Hartmanice. The Farmers’ Trail goes mostly through the area of the Kochánov National Park. A long time ago five glacier lakes developed on the Czech side of the mountains, and another three lakes on the Bavarian side. 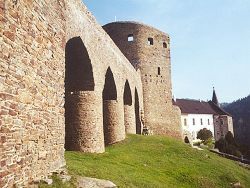 Charles IV had the Kašperk Castle built in 1356 to protect the gold mines in the area, the trade on the Golden Path and the border area. 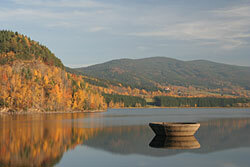 The moorlands are one of the features of nature in the Šumava Mountains. Only three of them are open to visitors. 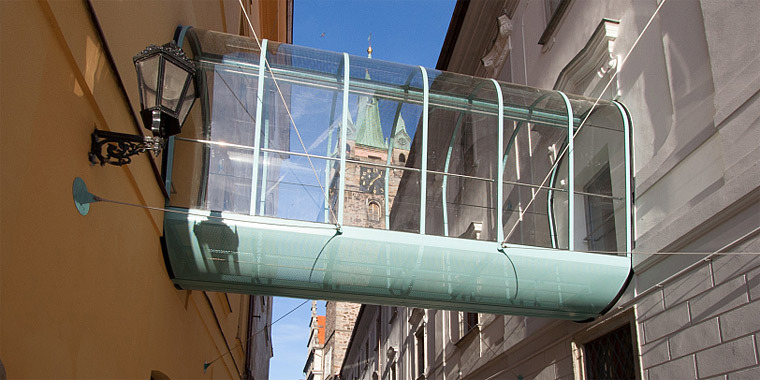 Situated 7km to the south of Prášily is the Polední Mountain, which means in English the Noon Mountain, at the top of which is the Poledník Observation Tower. 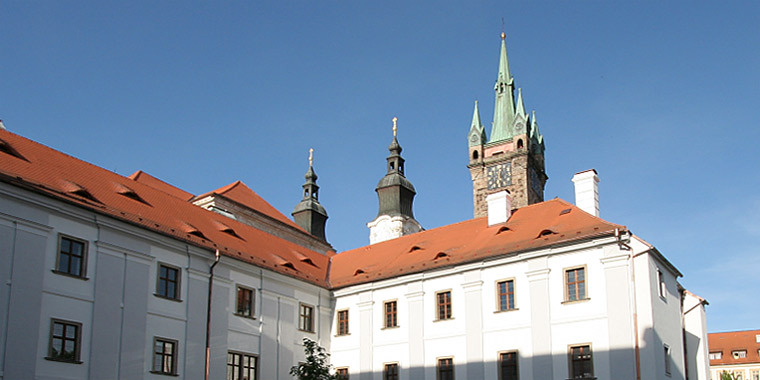 The Castle of Rabí is a dominant feature of the upper Otava region and is one of the biggest and largest medieval castles in Bohemia. 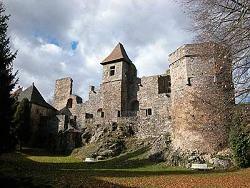 The castle was built at the beginning of 14th century and is situated over the village of Velhartice. Velký Ostrý (1293 m) is one of the most beautiful mount-peaks of the whole Šumava - a frontier mountain with a cross placed on the top, a German mountainous cottage with a pub and a rock formation offering impressive view of the surrounding mountain ridges.